The authorities of Dhaka University have decided to retake the admission test of "Gha" unit for the qualifiers over allegations of the question paper leaks. The university’s Vice Chancellor Md Akhteruzzaman announced the decision on Tuesday. The authorities will retake examination of over 18,000 candidates who came out successful in the previous test, he said. On Monday, the DU authorities formed a five-member probe committee to investigate more intensely the question leak allegations over “Gha” unit admission test. 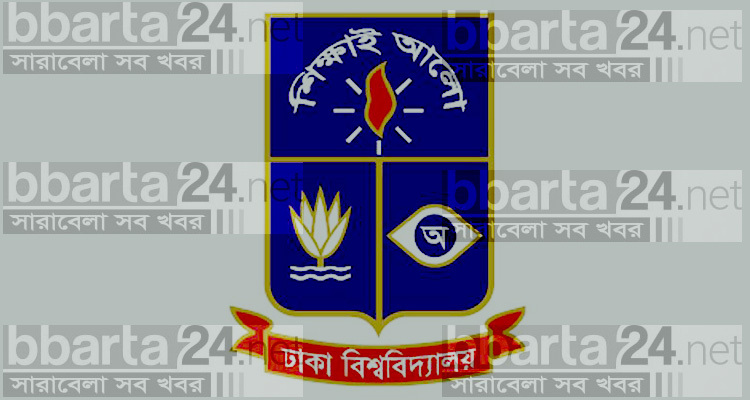 DU unit of Bangladesh Chhatra League (BCL), students’ front of the ruling Awami League, this morning submit a memorandum to the DU VC with a four-point demand, including retaking of “Gha” unit test after scrutiny or arranging special admission test for the admission seekers who passed the test. Other student bodies also had been protesting, demanding retake of the exam which was marred by widespread allegations of question paper leakage. The DU authorities published the results of “Gha” unit entry test on October 16 where around 26.21percent admission seekers obtained pass marks in the test held on October 12. A total of 70,440 candidates took part in the exam for a total of 1,615 seats.